Not too many people can leave a big mark on the world. But you might have the chance to. Discover the world of ancient people and Pokémon! Introduction: Some of you guys and gals on Relic might know me, but for those of you who don't, I'm Presley. I'm just a guy who likes Pokémon, really. I also like making games, though it's not really something I want to follow up when I'm older. It's more of a hobby, I guess. This project is a little side project to Hyperion, since that game has a lot of ambition behind it. I just want to practice more of my game developing skills through this project. You're a young, talented archaeologist looking to get your name put in the history books. Your current expedition leads you to a civilization that was lost in time for centuries. This civilization is still flourishing beneath the earth. The people of this kingdom say that you're part of a prophesy involving an ancient terror that awakens every thousand years. Screenshots are subject to change. Sprites and Pokémon are temporary. Glad you like the choice! Whenever you play it, please leave some feedback as well! - in the part of Ridge Route with the river, Seedot can no longer be found, as it has been replaced by Poliwag to allow for some water type Pokémon. 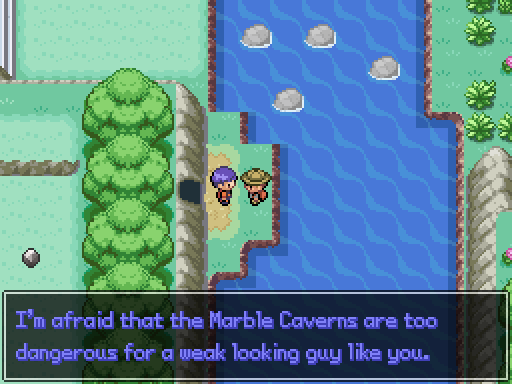 - changed Marble Caverns encounters to include more water type Pokémon to better fit the area that it's in. Whoops, forgot to fix the missing graphics issue. Don't think really anyone has tried playing it yet though, as there haven't been complaints. Download links have been updated. I like how the game throws you straight into the action. You're immediately battling trainers and don't have to sit through any lengthy introductions. 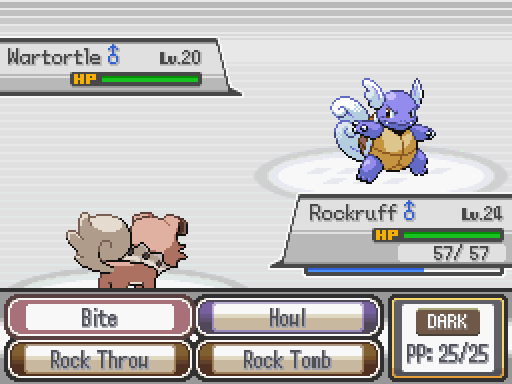 Rockruff is a pretty cool starter and I didn't particularly mind not being given other options. I thought the design for Runeport City was really cool. The cliffs on the outer edges overlooking the ocean were great! The interiors of the houses all looked good too and the NPC dialogue was very, very funny! 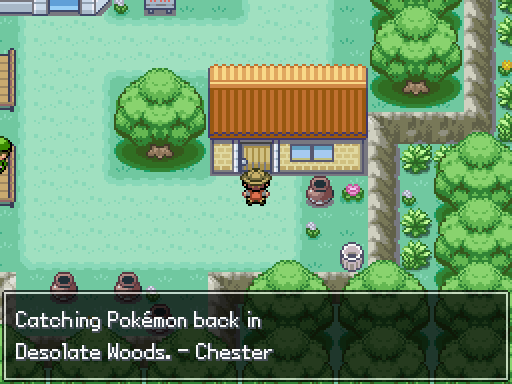 I would suggest giving the player access to paralyze heals from the Poke Mart in Runeport from the very beginning. I noticed that my Pokemon seemed to get paralyzed quite a lot early on. It was nice to have the option of catching Magnamite and Pikachu early on in the lighthouse. I also caught a Stantler and a Taillow in the Desolate Forest which worked out well for me. All in all I was reasonably happy with the variety of Pokemon you were able to catch in the areas I've seen so far. Some of the trainer battles are quite challenging, but I never felt like I had to do a ridiculous amount of grinding to keep up with them. All in all it seems like you've found a pretty good balance so far. I'm currently at Ridge Route. 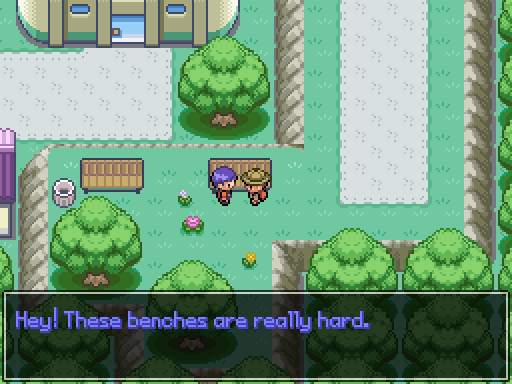 I've beaten all the trainers and found the broken bridge. 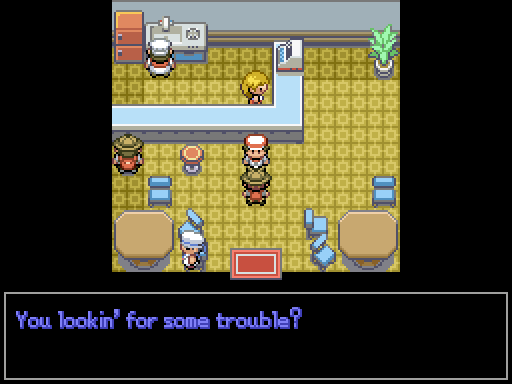 I'm unsure where to go next or if this is as far as the demo goes. Whatever the case, I've enjoyed what I've played of this game so far and look forward to further updates. Nice work! Thanks for the feedback, it means a lot! I’ll definitely go into including the paralyze heals. 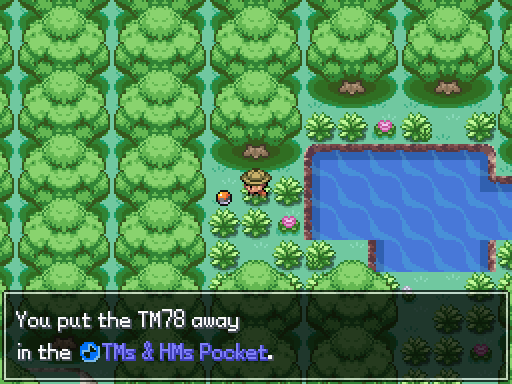 Also, from Ridge Route, you should be able to go south into a town.